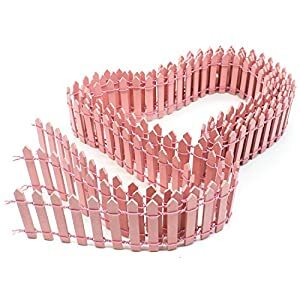 Looking for a fairy garden set for boys or girls? 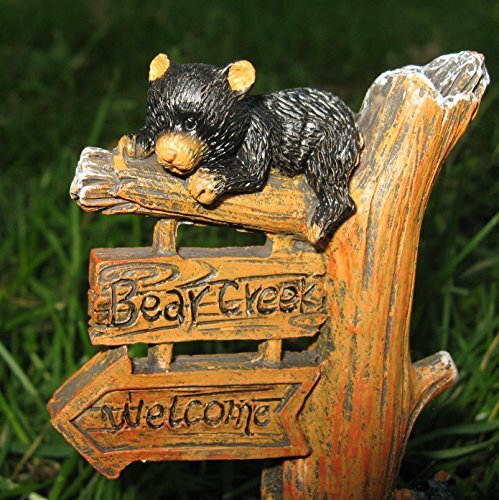 This friendly bear-themed starter kit bundle of 6 fairy garden accessories is just the thing! 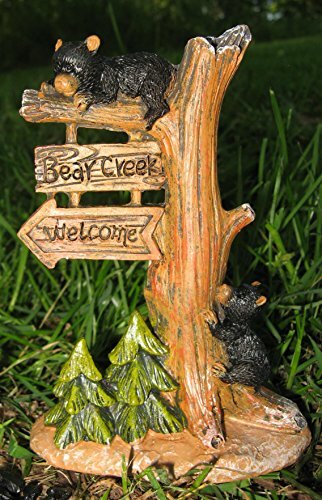 Bundle includes 1/2 pound black stones, wood log bench, wood log teeter-totter, moss covered tree house, a sitting plump bear holding a welcome sign, and 2 sleepy bear cubs on a pointing arrow sign. 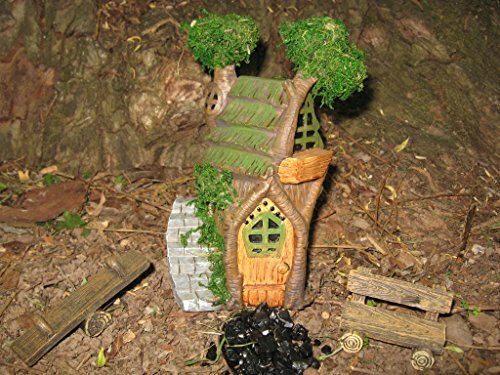 With 1/2 pound of crushed black stone, you'll have plenty to make a road or path leading to your treehouse. 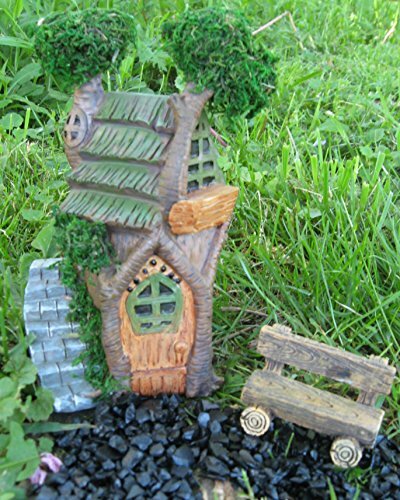 Looking for a fairy garden set for boys or girls? 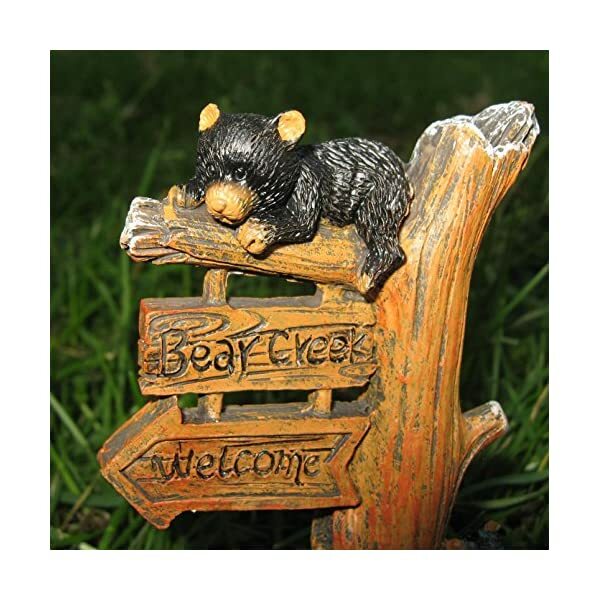 This friendly bear-themed starter kit bundle of 6 fairy garden accessories is just the thing! 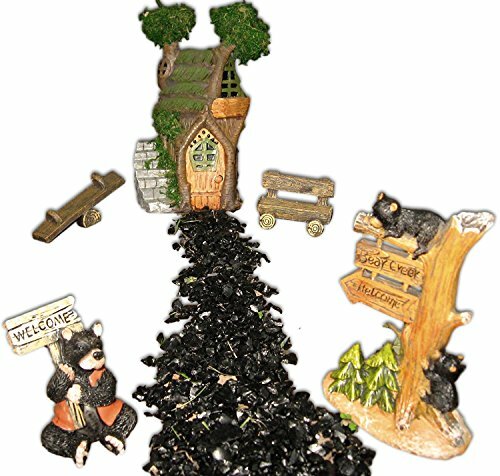 Bundle includes 1/2 pound black glass chip stones, wood log bench, wood log teeter-totter, moss covered tree house, a sitting plump bear holding a welcome sign, and 2 sleepy bear cubs on a pointing arrow sign. 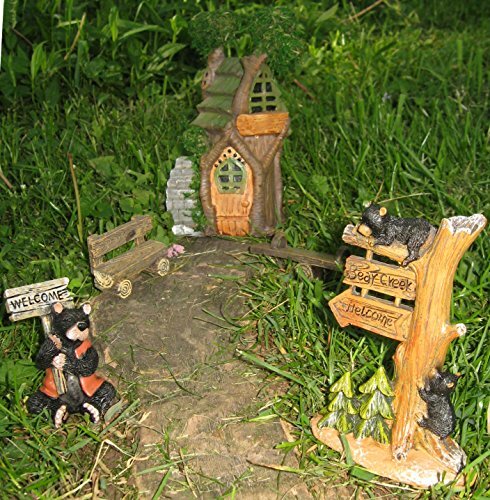 Children will enjoy creating this magical fairyland scene and adding more accessories later. 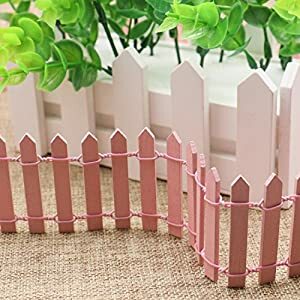 Gives gardens camping and lodge-inspired style. Resin log-look bench 2.25X1.5 Inches, Resin log-look teeter totter 3.5X.75. 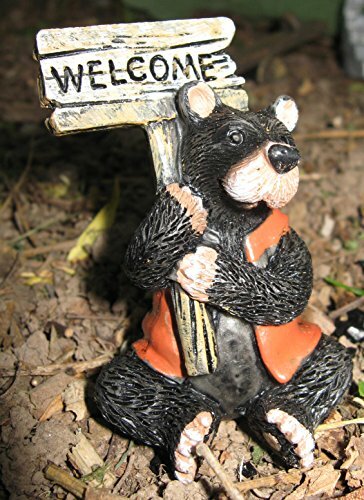 Resin 3 inch Black Bear with sign, woodland fairy garden “Bear Creek” and “Welcome” Sign 3 x 4.5 x 1.75 inches.